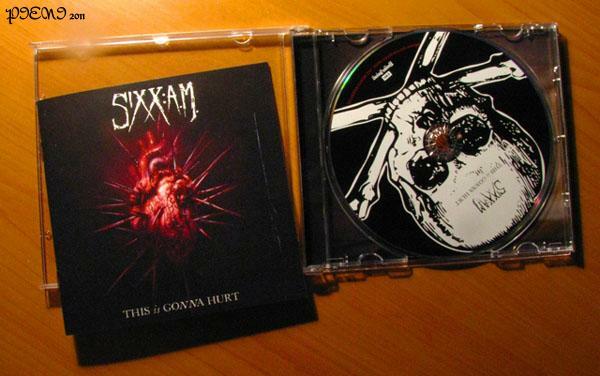 » In 2007, Nikki Sixx published one year and a half of his experiences with heroin, and along James Michael and DJ Ashba, under the name of SIXX: A.M., recorded its soundtrack. 4 years later the history repeats itself, this time with his experiences behind a photo camera. The album’s booklet has pictures of this work instead the lyrics to the songs (these can be found on www.SixxAMmusic.com). “This Is Gonna Hurt” reveals Sixx‘s unconventional sense of beauty and the very first single, “Lies Of The Beautiful People”, is an attack to the patterns which are imposed to us as “beautiful”. Musically speaking, one can’t say that SIXX: A.M.‘s rock is something never heard before – which, by all means, takes away any merit. And it’s refreshing to see/hear Nikki Sixx playing a more “polished” rock, less dirty than what he does with MÖTLEY CRÜE. “Sure Feels Right” and “Smile” are the only ones I usually skip. The first is too “mellow”, and on the second, Michael‘s voice isn’t very pleasant (to my ears) when it sounds so desperate and high pitched. “Skin”, however, is a balanced ballad, with a complelling piano and orchestral arrangements, perfect for the album’s finale.